Saudi authorities have arrested a prominent cleric, also known as a critic of the royal family’s handling of affairs. Sheikh Salman al-Awdah was arrested over the weekend following a series of posts on Twitter calling for an end of the diplomatic spat between Saudi Arabia, its allies United Arab Emirates (UAE), Bahrain, Egypt and Qatar, according to social media accounts relayed by media. “May God harmonize between their hearts for the good of their people,” al-Awdah was quoted as saying in one of his Tweets. The religious leader enjoys 14 million followers on Twitter. He was locked up from 1994-99 for calling for political change in Saudi Arabia. The Saudi-led group severed ties with Qatar it accuses of sponsoring terrorism and threatening the internal security of their countries. Saudi authorities have, since the beginning of the crisis on June 5, banned any expression of sympathy for Qatar and established fines for any communication or posting contrary to the state’s position. Aside from al-Awdah, reports say authorities have also detained Awad al-Qarni; a cleric based in the South of the kingdom. Al-Qarni was arrested from his home last week following support for reconciliation between Gulf countries. 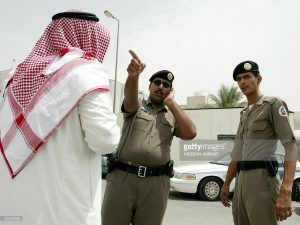 Some analysts argue that the arrests were ordered by Crown Prince Mohamed bin Salman who is reportedly preparing to take over his father. Posted by KanelkaTagba on Sep 11 2017. Filed under Gulf News, Headlines. You can follow any responses to this entry through the RSS 2.0. Both comments and pings are currently closed.